If you no longer wish to use loader, or if you would like to re-use your email address for a new team account, you must remove your existing account first. 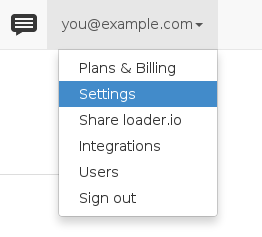 Access your account settings page and select the "Account removal" tab. Upon deletion you will be signed out and your account and test data will not be accessible. You may then sign up for a new account, or be added to a team account, using that email address.